It maybe too soon for some developers to aim for GBI rated buildings now, but it is achieveable and in a long run, it will benefit both the environment and the future generations. We already have our first green building - the Art Gallery Conservation Centre located in Jalan Penampang which can save as much as RM400,000 a year in energy. In simple terms, buildings will be awarded the GBI rating based on 6 key criteria, namely Energy Efficiency, Indoor Environmental Quality, Sustainable Site Planning & Management, Material and Resources, Water Efficiency, and Innovation. Recently, Chief Minister Datuk Musa Aman called on everyone, especially developers, to apply green technology in all development projects and programmes in Sabah so as to ensure a clean, safe and harmonious environment for the people. 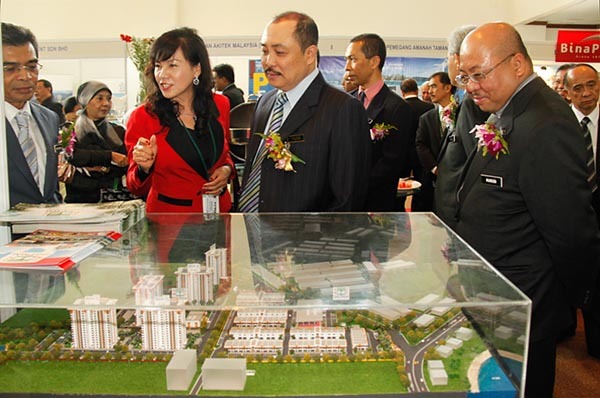 Speaking at the launching of the Sabah Planning Conference, held in conjunction with the World Town Planning Day 2012, he said, the event is aptly conducted and in line with the government's effort to ensure development with a green technology concept. "The conference also displays the commitment of the government through its agencies in implementing green development in Sabah," he said in a speech delivered by Local Government and Housing Minister, Datuk Hajiji Noor. Development, he said, is a measurement stick to gauge the level of progress of a nation or state. But, he said, apart from the various development programmes that were carried out, the green wealth and natural beauty of the State must be preserved. It is for this reason, Musa said, that all professionals and researchers from the public and private agencies as well as NGOs should continue cooperating with one another in developing the State without sidelining the natural environment. "I am confident and believe that if we create green towns in the State, and at the same time ensure the development that we are implementing are integrated, the people would surely live in an environment that is clean, safe and harmonious," he said. Hence, he urged everyone involved to ensure the application of green technology in all development for the common benefit of everyone.